If you're seeking speech-language resources that will engage your students, then you've come to the right place. The speech-language resources website is a gateway to information that will allow you to better understand language and literacy difficulties in school-age children. The resources and information on this site will enable you to help students overcome language and literacy difficulties. You will gain access to materials and exercises (most of it free) that has been developed from years of working with children with language and literacy difficulties. Many of the activities are focused on text-based intervention. Other activities are more traditional oral language resources and games. You are given step-by-step guides on how best to use the worksheets and programs from beginning to end. On the free language therapy pages you will find many techniques on how best to engage your students using language learning facilitation techniques. By using the techniques listed on this website you will be better placed to teach students vital oral language skills. Improved receptive and expressive language skills can assist students to be more attentive, and increase their ability to better understand oral instructions and access the complexity of written text. The theories and intervention techniques presented on the speechlanguage-resources website are largely drawn from my experience working within the school system, and also from the latest journal articles, books and research pertaining to school-age language impairment. Browse the navigation bar on the left and find information that is relevant and of interest to any who work with school-age students with language difficulty. There are also a number of free language activities to explore and use. To access a whole range of new, free, downloadable activities please follow the link to Language Therapy. The language therapy webpage has direct links to all the new language therapy webpages that feature dozens of new graphic organizers as downloadable adobe pdf files. All the graphic organizers have clear instructions on how best to use them, and there are clear demonstrations of the clinician using the graphic organizers with students. The information provided in the monthly newsletters is ideally suited to be used by speech-language pathologists, teachers and parents of students with language difficulty. The language resources blog updates you on any new content on the speechlanguage-resources.com web site. Free Board Games: hand drawn board games that are heaps of fun to play and are also educational, and they're free! Working Memory Activities is a a workbook that has been designed to stimulate children's short term memory and working memory abilities. Educational Board Games: board games are a brilliant way to build academic skills in young children. Language Therapy. A sequence of language intervention steps. 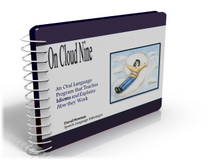 This language intervention eBook is the culmination of my many years as a speech-language clinician and the best current research. Speech language programs to support your students' literacy skills. Speech language programs that target your students' oral and written language skills in unique ways. Teaching inferencing to school-aged children is directly related to the comprehension and understanding of stories. Oral language strategies that are designed to stimulate communication skills in your students. Shared book reading hasn't always been a speech-language pathologists focus. But times are changing. Speech-language pathologists are ideally suited to support literacy in school-aged children. Sentence Builder Program: This is a free program that if followed correctly will enable your students to learn sentence building skills and noun verb agreement. Sentence Creator for Early Literacy: A program that helps young students create simple sentences. Best language resources. My top 5 language resources. Best language resources. A list of my top 5 language resources and how I like to use them. Active Listening Activities: Active listening is the ability to focus and attend to increasingly complex and difficult questions to complete a task. Speech language assessment: Speech-language clinicians use assessment tools to determine a child's oral and written communication skills. Language disorder commentary. Got a story or experience to share? Write it here. Language disorder commentary. I've created this commentary page to allow you to express your opinions, frustrations, fears, anguish or triumphs related to children with language disorder. What is language? School-aged language-development. What is language? Language development is something that begins at birth and continues to grow over the course of a person's life. Working Memory Guide: working memory has been described as the gateway to learning. Read this page and links to find out why. If you're looking for strategies and educational tips for parents you have come to the right place. Adolescent language development continues in the middle school and high school years. Syntax and grammatical knowledge are always important goals in language intervention. Lateral Lisp Therapy: The lateral lisp is a difficult speech sound error to change successfully. What is Speech? Speech is the production of sound using the tongue, lips and teeth to communicate thoughts. Speech Sound Errors. Articulation disorders and phonological disorders are the two most common types of speech disorders. 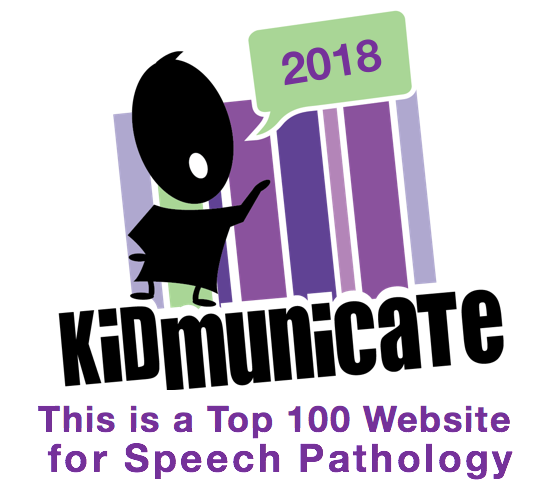 This page explores both speech disorders. Speech Sound Structures. The structures of the human speech mechanism. Speech Pathology Acronyms: A series of common acronyms which are used in speech pathology textbooks and journal articles. Inferencing Activities: This ebook is all about working on children's inference. Inferencing Activities: Get ready to build your students' inference and thinking skills with this practical approach to teaching this vital comprehension skill. Inference and Reading: A practical guide that contains free, downloadable worksheets to assist school-age students to better comprehend what they read. Activities for Teaching Vocabulary: Free download available on this page. Vocabulary and Comprehension. Understanding text means more than just reading words on a page; comprehension relies upon vocabulary knowledge. Reading Comprehension Problems: This page examines the complexity of reading comprehension difficulties. Language-literacy are two sides of the same coin. A school-aged child's reading skill is largely dependent on their having good oral language skills. Phonological awareness is the leading predictor of reading success and failure. Read this page and find out why. Asperger's syndrome: Here is information that details the signs and behavioural characteristics of high functioning autism. Pragmatic language is a vital social skill that enables the school-aged child to navigate their way through demanding social situations. Figurative language worksheets that explore the differences and similarities between metaphor and simile. Student Resources Grammar. A series of basic writing resources for school aged students. Picture book activities are well worth the investment in time. I've created a range of black line masters and activities that can be used with most picture books. One of the many benefits of reading books is that it focuses the child on a learning experience like no other. The best picture books tend to be those that transcend the genre, and are true works of art. 1st grade books are vitally important for a child's continued language acquisition and growth. 3rd grade books. A guide for teachers and speech pathologists. 3rd grade books. The storybooks featured and reviewed here have all proven to be invaluable language stimulation texts. 6th grade books are sometimes difficult to select due to the growing complexity of higher reading levels. Speech pathology books. Recommended language interevention texts for best practice research, therapy tips, and new ideas. Contact me if you wish to ask a question about speechlanguage-resources. Effective classroom strategies for students with language impairment are relatively easy to prepare. Phonemic awareness activities and phonological awareness activities will definitely improve your students reading and spelling skills . Visit this page to find out why. Working memory problems: access this page for current information about working memory and the school-aged child. Mousehole Cat Review. The Mousehole Cat tells the tale of an old Cornish legend about an old fisherman and his trusted moggy, who save their fishing village. Free Grammar Worksheets. There is a heap of free info and printable worksheets on this web page. Speech Pathology Links: New links will be added once I have judged their suitability as relevant to language disorder and speech pathology. Storyworld Review. A new book that helps to unlock childrens' imagination. Storyworld Review. Storyworld is a book that is made up of 40 illustrated cards and instructions that allows your students to make new and exciting stories. Oliver Jeffers Review. The Way Back Home is the story of a young boy who's plane runs out of petrol on the moon. Simplify Classroom Language. Tips for helping students with language difficulty understand verbal instructions. Speech Disorders Review: Interventions for Speech Sound Disorders in Children is a long title for a big book about speech sound errors in young children. Speech Sounds s. How to stimulate /s/ sound. Speech Sounds s. Advice on how to stimulate the /s/ sound. Speech Sounds sh. How to elicit the sh sound in young children. Speech Sounds k. How to elicit the k and g sounds in young children. The Great Paper Caper Review. Oliver jeffers has written an exciting whodunnit for younger readers. Mr McGhee Review: Mr McGhee with teapot and brolly is carried away onto the sea, how jolly! Criterion referenced assessment: A test which compares and individuals performance to a prespecified standard. Norm referenced assessment for children with language impairment or difficulty. Verb Categories: the five main verb categories are having verbs, feeling verbs, thinking verbs, saying verbs, and doing verbs. Board Game Basics: What are the characteristics of a board game? Irregular Verbs Worksheet: This worksheet is a great guide for students to check their written work for irregular verb errors. Oral Language Techniques: enhance your child's oral language development with these proven and powerful techniques. Crafting Connections Review: Social awareness and social language skills can be difficult to teach. This manual makes the teaching of social language skills achievable.